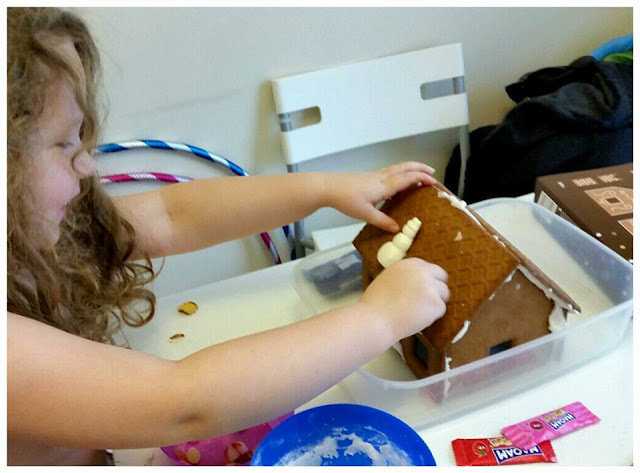 Christmas Traditions, Keeping traditions alive! 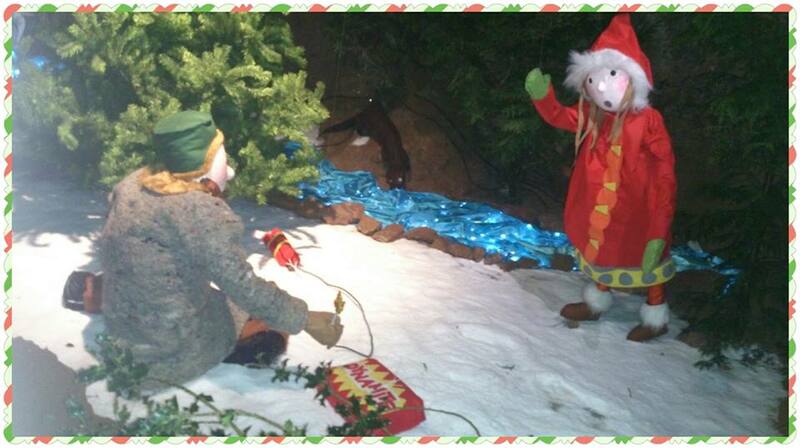 There is something so magical about Christmas that totally love, even more so now we have children to enjoy it with! When I was little I always remember the little Christmas traditions we had as a family and how special and exciting they made Christmas. It was the little things such as every Christmas me and my sister would take it in turns 1 person chose things for Santa and the other for the Reindeer. For Santa my dad always used to take us to this little shop in the high street to choose a little miniature bottle of alcohol (my sister once picked the Tequila with the worm inside!) I bet my dad was thrilled! Another tradition we had as kids was on Christmas morning. Once we had woken up my dad would go down stairs and "see if Santa had been", he would then bring our stockings upstairs and we would open them on mum and dads. Eating our obligatory piece of fruit found in the bottom of our sticking before heading downstairs to discover more presents! I adore thinking back to our little traditions and have really tried to carry these on with James and Evelyn now, along with making our own of course. Now that we have children we have our own traditions as well as keeping some of our own childhood traditions. One of our new traditions is going to visit Santa somewhere different each year and always on Christmas eve. We have been to see Santa on a steam train and even in the caves. I hope that in years to come if my children have kids they will remember how magical our traditions were and will want to continue them on and create some of their own! Becky from Sparkly Mummy - "Everyone gets new PJ's on Christmas Eve and we spend Christmas Day in them and we always watch the snowman, nightmare before Christmas and the Grinch on Christmas Eve"
Ashleigh from 3 girls mummy - "Each year we wrap up the living room door so the kids have to tear it down to get through to the Christmas tree and see what Santa left!" 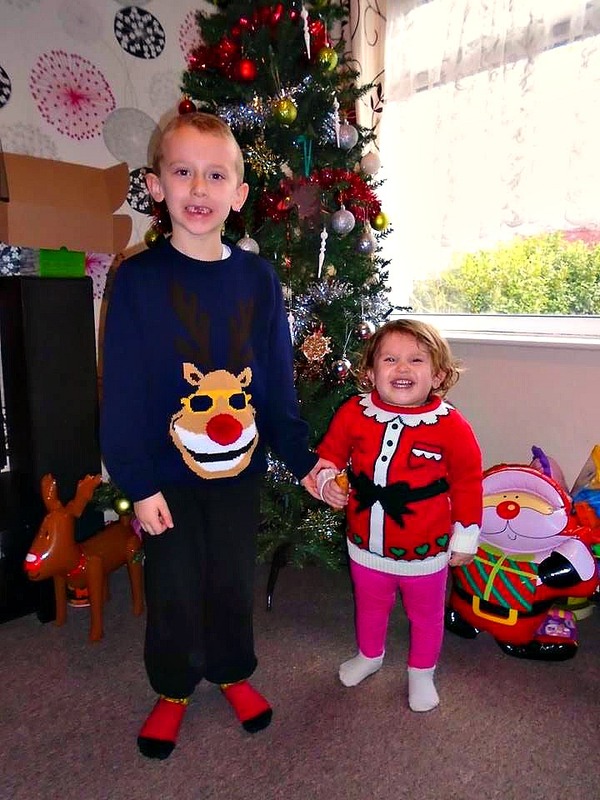 Jada from Unique young mum - "I do elf on the shelf, even as a parent it's so much fun getting involved in it and thinking of new places to hide Buddy (our elf) my son loves waking up every day throughout December up until Christmas Eve looking for him!" Cathryn from Cardiff mummy says - "Every year, my children do a little show for me and my husband, they make it up themselves, singing, dancing etc. Last year it was all based on the song When Santa Got Stuck Up The Chimney. It came about because I told them that's what me and my brothers did when we were little for our parents and they loved the idea and I love that we are continuing the tradition." 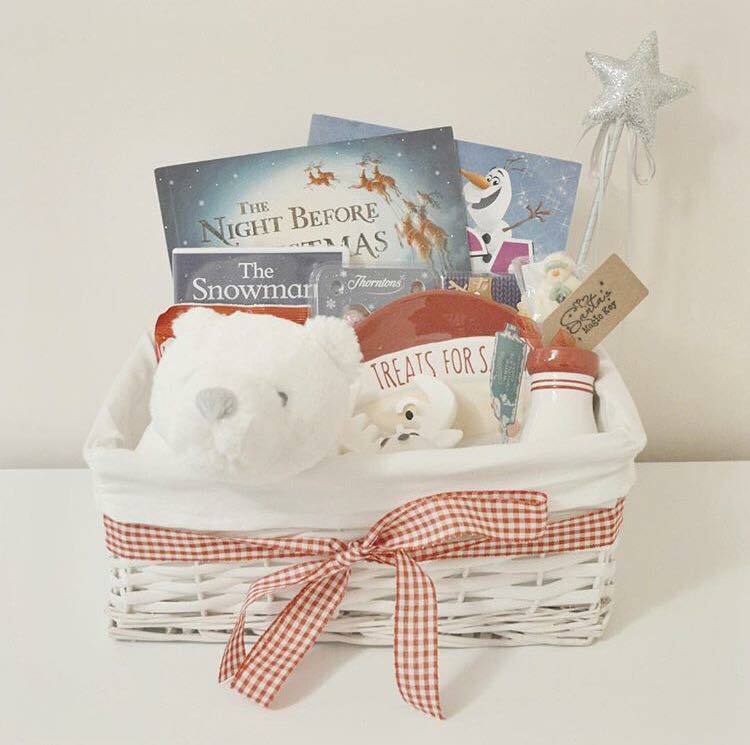 Emma from Sophie Ella and Me - "I put together a Christmas Eve basket for my daughter each year and include Christmas pyjamas, a soft toy, chocolates and other festive goodies! I think it's such a lovely tradition to start!" Hannah from Han Plans - "Since Jaxon was born we read The Night Before Christmas on Christmas Eve. Growing up it was standing in the kitchen with my mum and cutting out the pastry circles for mince pies while listening to Any Grant's Home for Christmas album"
Katie from Living life our way - "We always decorate a gingerbread house together on Christmas eve." Irina from Wave to mummy - "We have a special Christmas dinner on Christmas Eve. In Finland, my native country, you celebrate Christmas one day early so I always cook us a few traditional Finnish dishes. After dinner you would (in Finland) have gifts, so we will also open one gift." Do you have any special Christmas traditions? I would love to hear about them in the comment section below! Oh my gosh! Thank you so much for posting this its given me so many ideas! 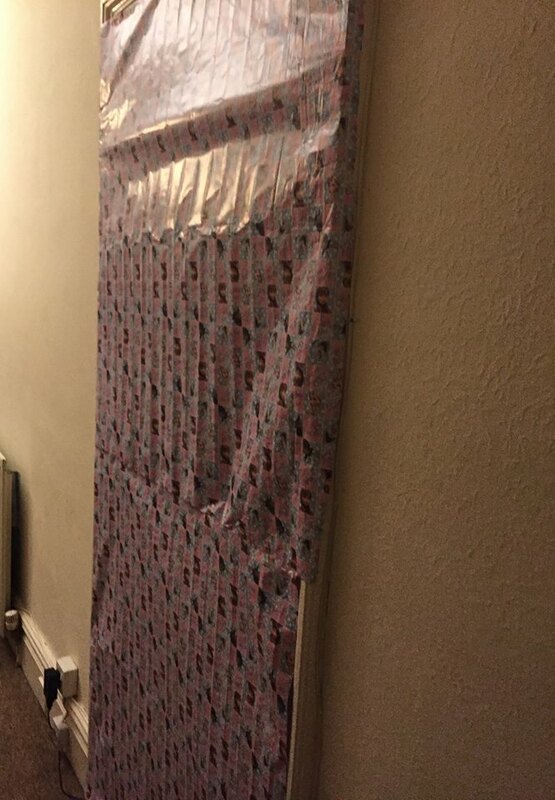 I'm now desperate to wrap the door! Aw how lovely reading about all these family traditions! We always get up and open our stockings together first before having breakfast and getting dressed. Then we spend all morning into the afternoon opening our gifts (one at a time), to prolong the experience. What an interesting read. Love reading about other people's Christmas traditions. I love all these little traditions - particularly elf on the shelf!